Going to Hawaii would not be complete without taking in a luau and it's not about the food so much as the experience. 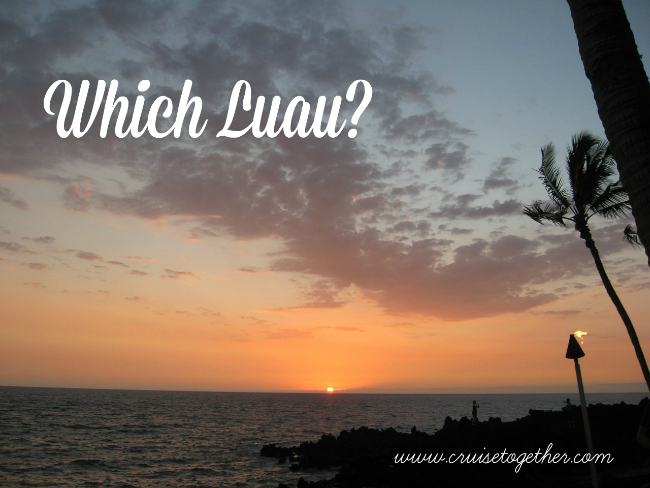 I have read lots and lots of reviews and it came down to a choice of either Old Lahaina Luau on Maui or Chiefs Luau on Oahu. They both have great reviews and I know we would not be disappointed with either one. For that reason I decided to go with Chief's Luau on Oahu because they offer bus pickup and drop off at Wakiki Beach where we will be staying. It also happens to be a bit less expensive at $80 (or $93.75 with the bus) vs. $109 for Old Lahaina Luau. Because we will get to Oahu on Tues. evening I reserved our luau for the next evening and that will be a great way to start our vacation.